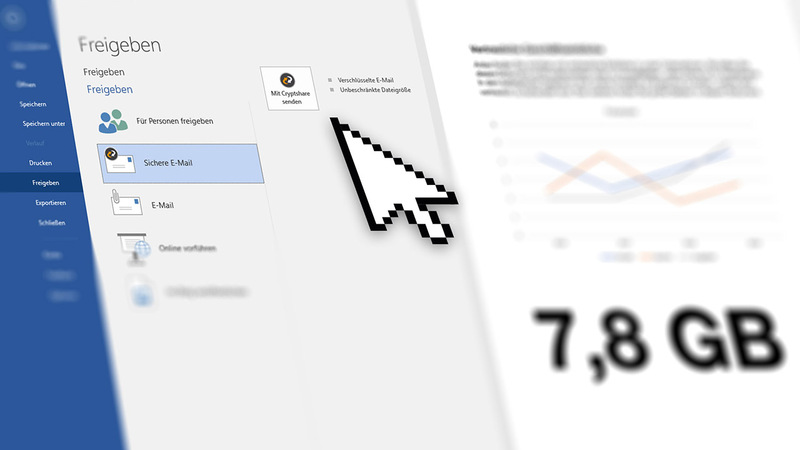 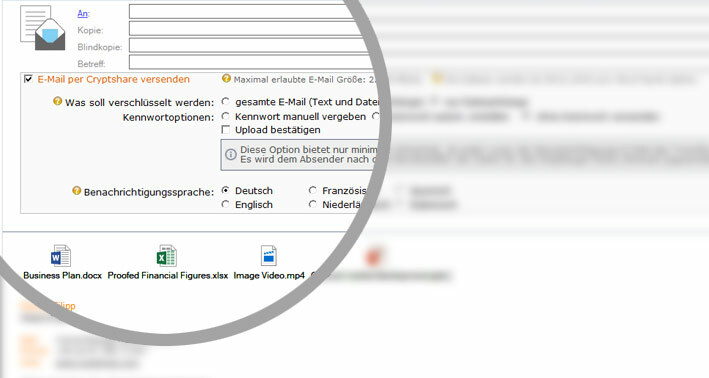 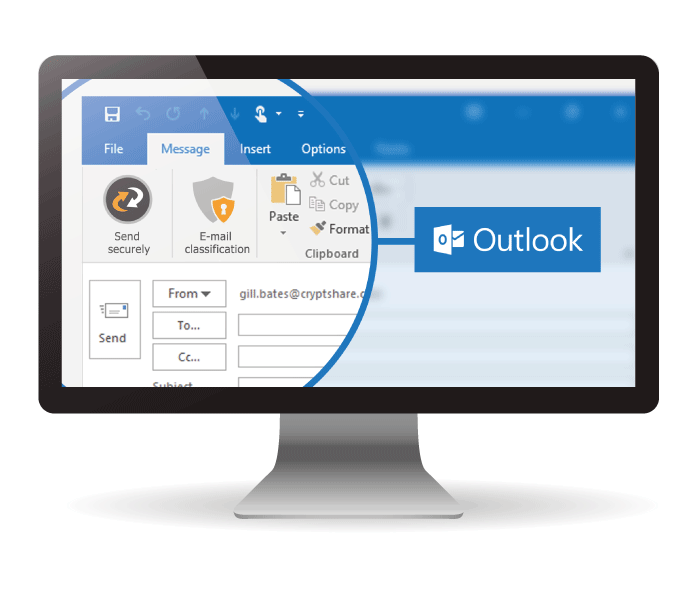 The Outlook add-in lets you send large files and secure e-mails directly from Outlook. 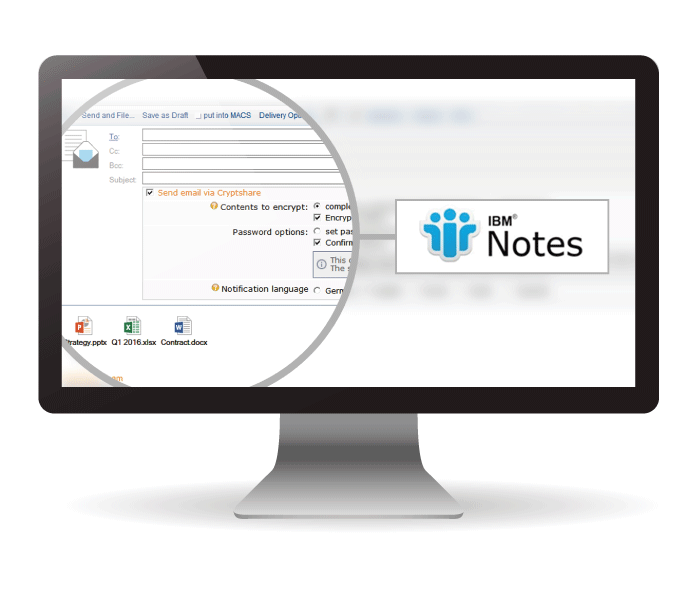 The IBM Notes integration makes all features available in your familiar work environment. 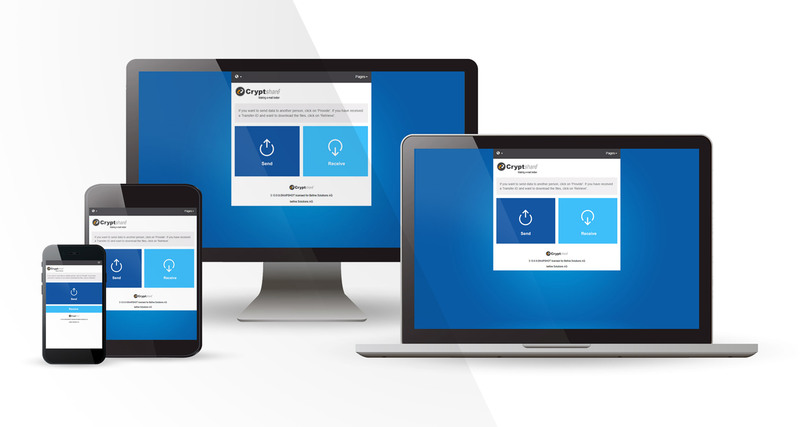 Users and their external communication partners can use Cryptshare via browser.